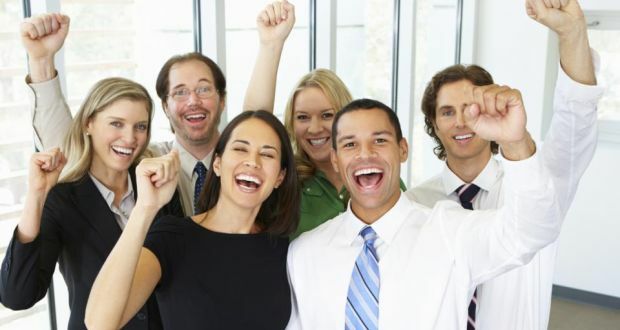 People used to believe that you didn’t have to be happy at work to succeed. And that you didn’t need to like the people you work with, or even share their values. “Work is not personal,” the thinking went. This is bunk. Disengaged, unhappy people aren’t any fun to work with, don’t add much value and impact our organisations (and our economy) in profoundly negative ways. It’s even worse when leaders are disengaged because they infect others. It’s time finally to blow up the myth that feelings don’t matter at work. Science is on our side: there are clear neurological links between feelings, thoughts and actions. When we are in the grip of strong negative emotions, it’s like having blinders on. We focus mostly – sometimes only – on the source of the pain. We don’t process information as well, think creatively or make good decisions. Frustration, anger and stress cause an important part of us to shut down – the thinking, engaged part. Disengagement is a natural neurological and psychological response to pervasive negative emotions. But it’s not just negative emotions we need to watch out for. Extremely strong positive emotions have the same effect. Some studies shows that too much happiness can make you less creative and prone to engage in riskier behaviours (think about how we act like fools when we fall in love). On the work front: I’ve seen groups of people worked up into a frenzy at sales conferences and corporate pep rallies. Little learning or innovation comes out of these meetings. Throw in a lot of alcohol, and you’ve got a whole host of other problems. If we can agree that our emotional states at work matter, what do we do to increase engagement and improve performance? When people talked with our research team about what was working or not in their organisations, and what helped or hindered them the most, they talked about vision. People want to be able to see the future and know how they fit in. Sadly, far too many leaders don’t paint a very compelling vision of the future, they don’t try to link it to people’s personal visions and they don’t communicate well. And they lose people as a result. People want to feel as if their work matters, and that their contributions help to achieve something really important.They want to know that they – and their organisations – are doing something big that matters to other people. Annie McKee is a senior fellow at the University of Pennsylvania.